Voters in Carbondale and Basalt are casting their ballots for the spring election, which ends Tuesday evening. Proponents of a new tax have raised-- and spent-- the most campaign dollars in Carbondale. In Basalt, that’s true of candidates for the mayor’s seat. Basalt Town Council has voted unanimously to give elected officials a pay raise. The change goes into effect this spring, for about half of the board. The Basalt election keeps getting hotter. With two weeks until the end, voters have been dropping off ballots at Town Hall, and controversy over yard signs continues. Three Town Council seats are up for grabs in Basalt’s spring election, and the mayor’s post is also in contention. 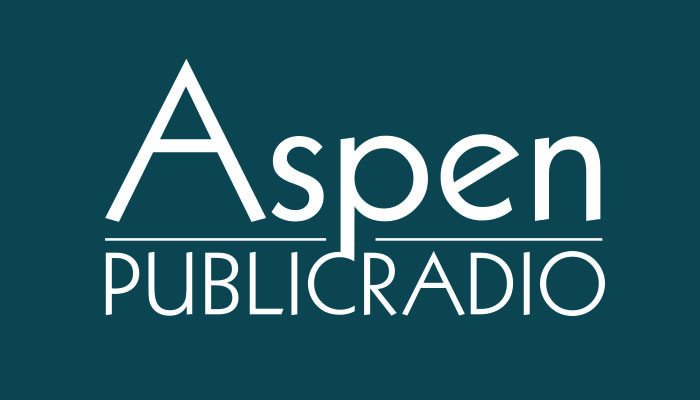 Aspen Public Radio hosted a candidate forum last night at the Basalt Regional Library. Candidates staked out their positions and answered pointed questions. As primaries continue across the country, Colorado legislators are mulling whether to return to that method or stick with just caucuses. As Aspen Public Radio’s Elise Thatcher reports, election officials in the Roaring Fork Valley area have estimated how much more a primary would cost. Contenders have thrown their hats into the ring for local elections in Basalt and Carbondale. More people than usual are running in Basalt, even though there’s a routine number of posts up for grabs on Town Council. Aspen City Council swore in members new and old Monday night. That included a grassroots organizer known for criticizing the group. Newly elected Bert Myrin took an oath with returning councilman Adam Frisch. Aspen Public Radio held a live debate last night between Aspen City Council candidates Bert Myrin and Mick Ireland, who are battling it out in the spring runoff election. Aspen Public Radio’s Elise Thatcher has this overview of what went down, and a full recording of the debate. Ballots for Aspen’s runoff election go in the mail this Friday, and early voting begins on Monday at City Hall, as residents choose between grassroots activist Bert Myrin and longtime civil servant Mick Ireland. They’re battling it out for an Aspen City Council seat. The election will be run nearly identical to the one that ended earlier this month. Let the runoff election begin! Two Aspen political allies will have to definitely battle it out for a City Council seat. Longtime political servant Mick Ireland and grassroots organizer Bert Myrin will face off in June for a four year city council seat. Neither got enough votes in the spring election to land the post outright. There’s no answer yet on whether Aspen will have a runoff election in June. Election officials have until this evening to figure out whether twenty-three ballots are valid. They’ve already confirmed that three qualify to be counted. History was made last night when the majority of Aspenites changed the city’s home rule charter, stripping power away from elected officials. Referendum 1, also known as “Keep Aspen, Aspen” passed by a slim margin of 53% to 47%. The ballot count came in at 1297 to 1141 votes Tuesday night. There are four days left to vote in the Aspen municipal election where residents are deciding on a charter amendment, a mayor and two council members. Aspen Public Radio’s Carolyn Sackariason reports. As of Thursday evening, more than 1,300 Aspen residents had cast their ballots in this all-mail election. Judging from previous city elections, more than half have already voted. The average turnout is between 2,000 and 2,500 voters. Aspen City Clerk Linda Manning predicts turnout will be on the high end. City Council incumbent Adam Frisch is at the head of the pack, when it comes to raising money for this spring election, and keeping his Council seat. Frisch raised more than $8,000 from April 10th to April 28th. That’s almost twice of the runner up, Mick Ireland. Candidates for Aspen’s City Council met for another forum last night. It focused on issues that are key for many to residents in their 20s, 30s and 40s. Six contenders perched on bar chairs and answered questions in the Sky Hotel. Most were about affordable housing and how to develop better job opportunities in the community. The Aspen School District is looking to the Town of Snowmass Village to fill a budget shortfall. The district is proposing a sales tax, just like the one in place in the City of Aspen. Aspen Public Radio’s Carolyn Sackariason reports. The Aspen Chamber Resort Association has detailed how it’s not spending tax dollars on a campaign against a city ballot question. The Chamber is under fire for participating in a push to defeat Referendum 1. If passed, it would require a public vote for certain kinds of development. Critics say a publicly funded organization like the Chamber should not be using taxpayer dollars to defeat the referendum. Glenwood Springs will hold a swearing-in on Thursday, for new City Council members. One of them is Kathryn Trauger, who won the At Large seat in the recent election. She says she feels ready to join Council.